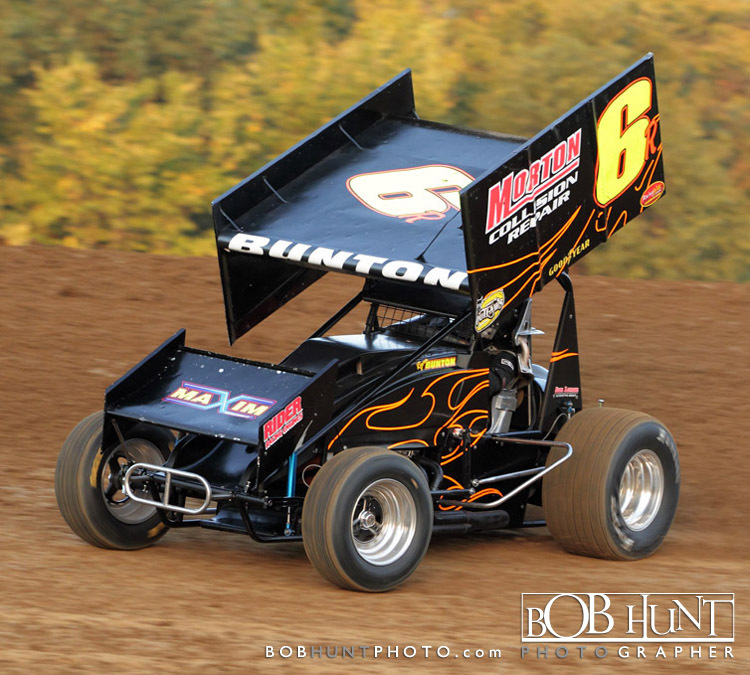 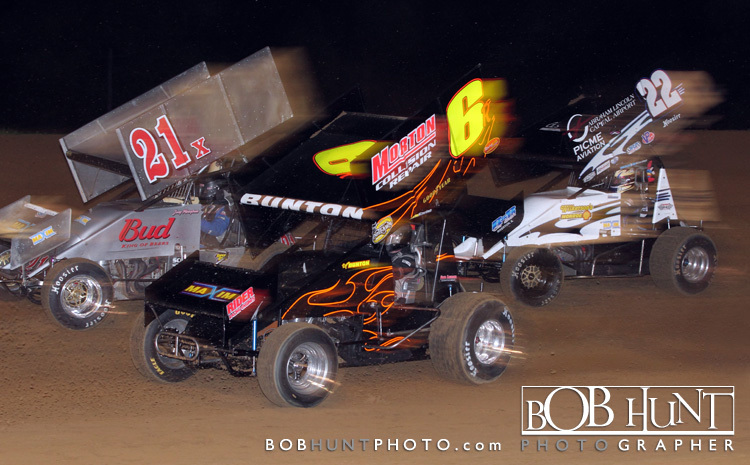 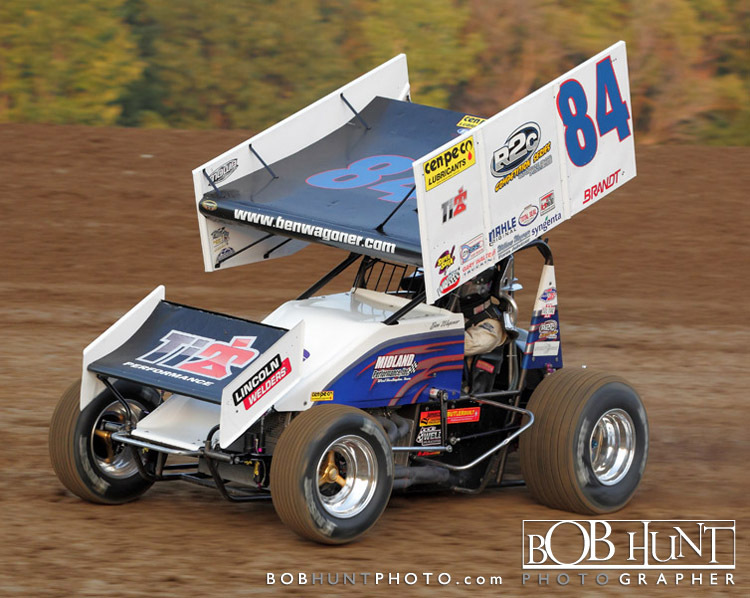 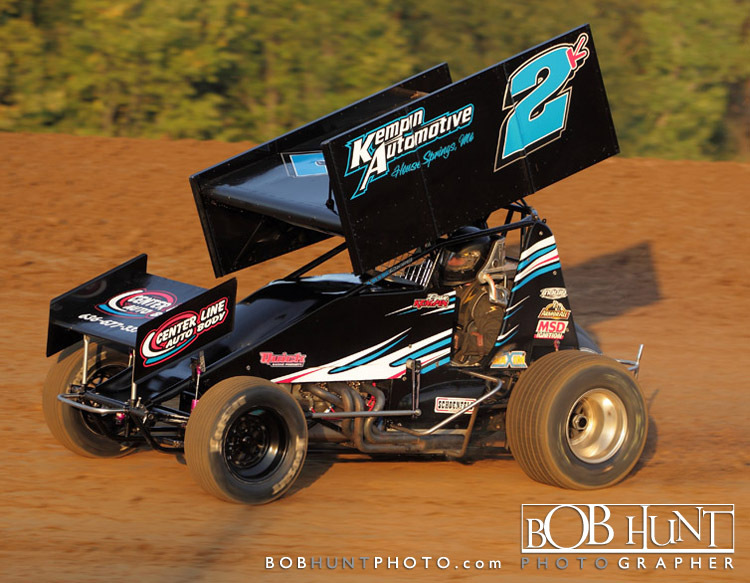 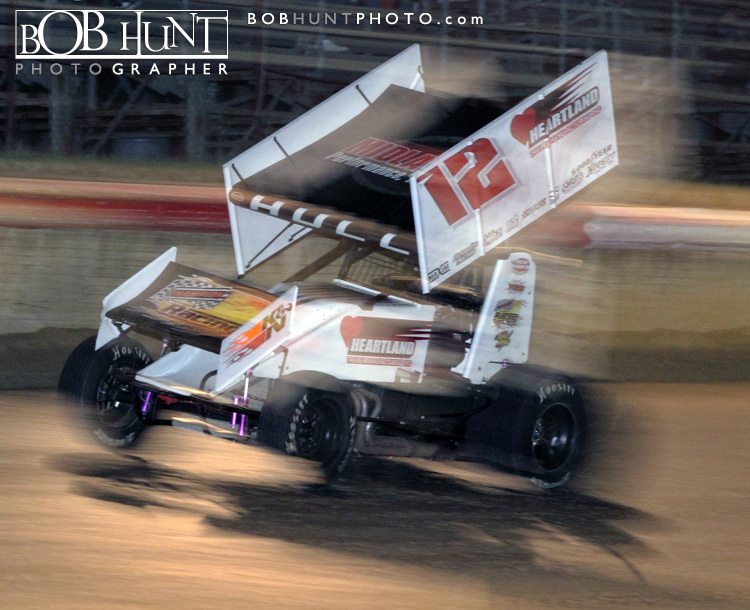 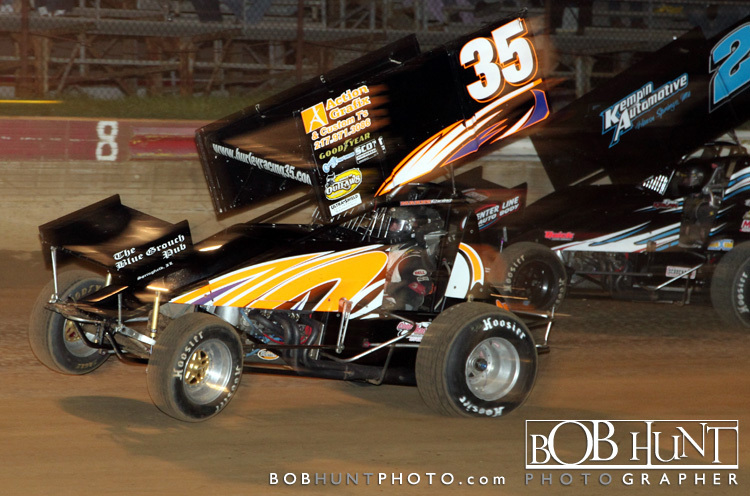 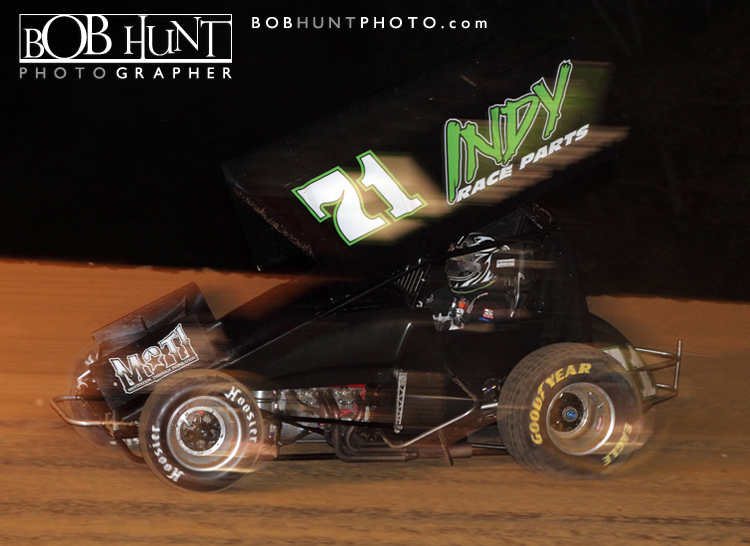 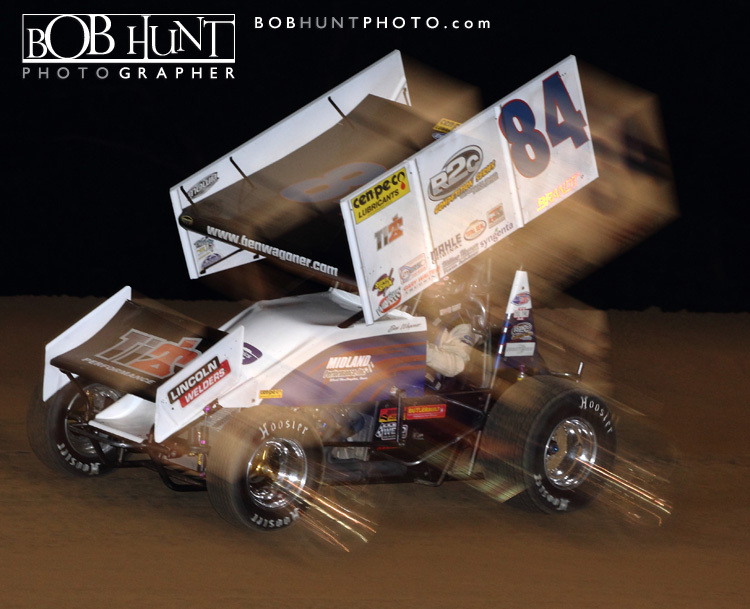 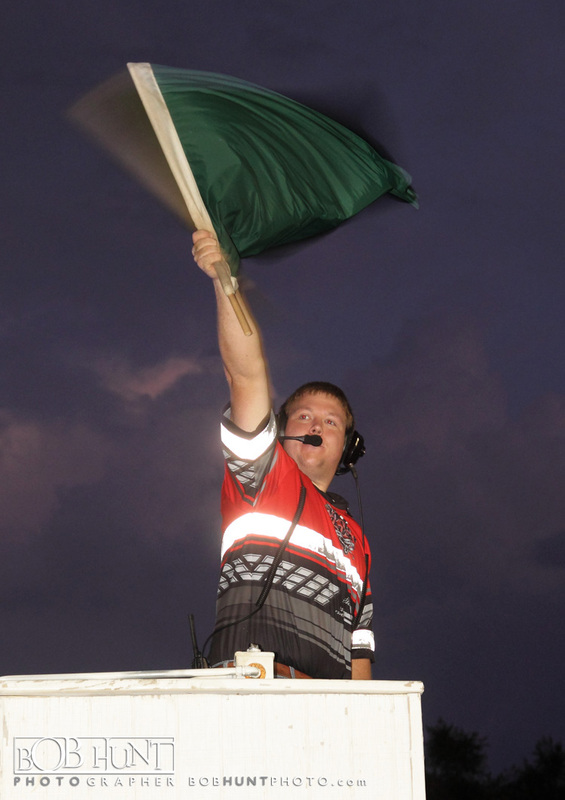 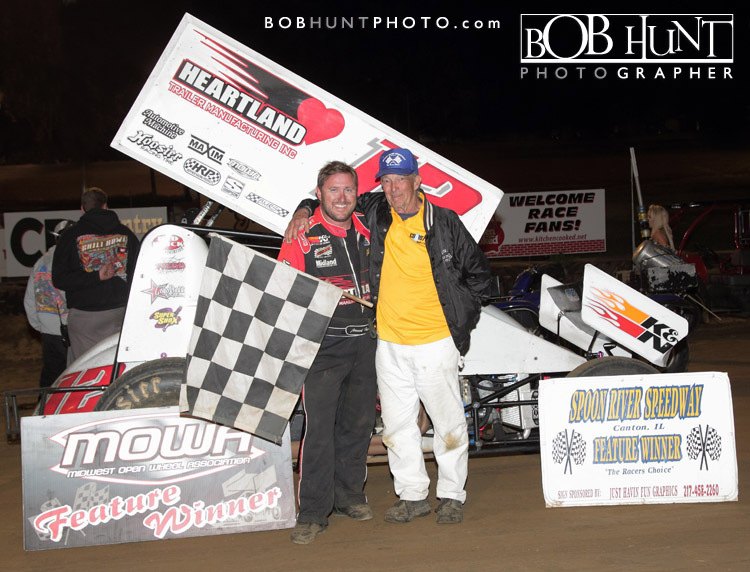 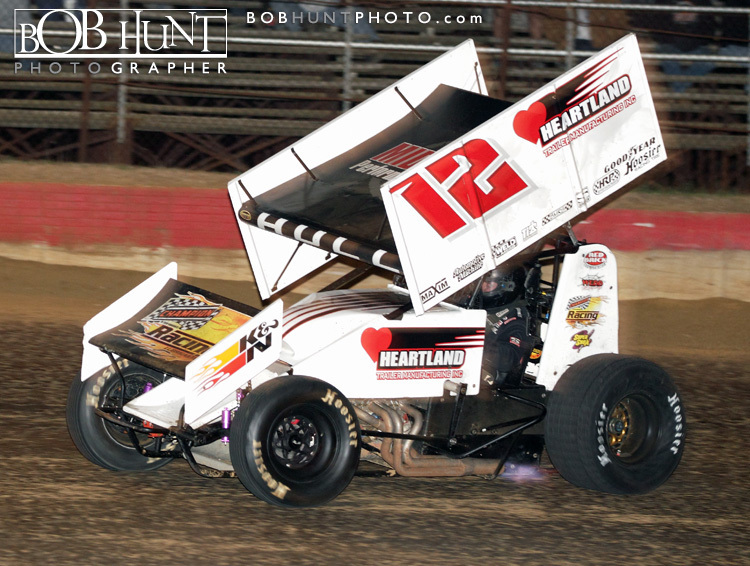 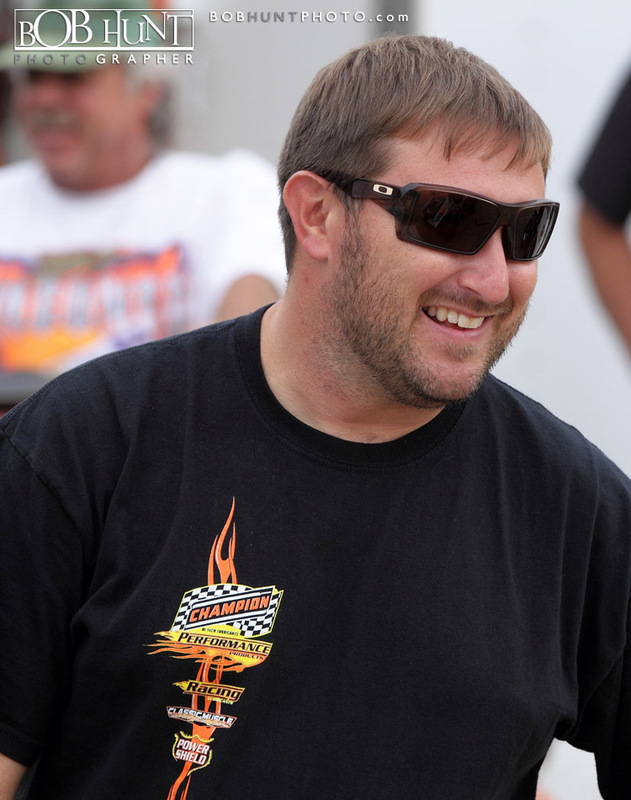 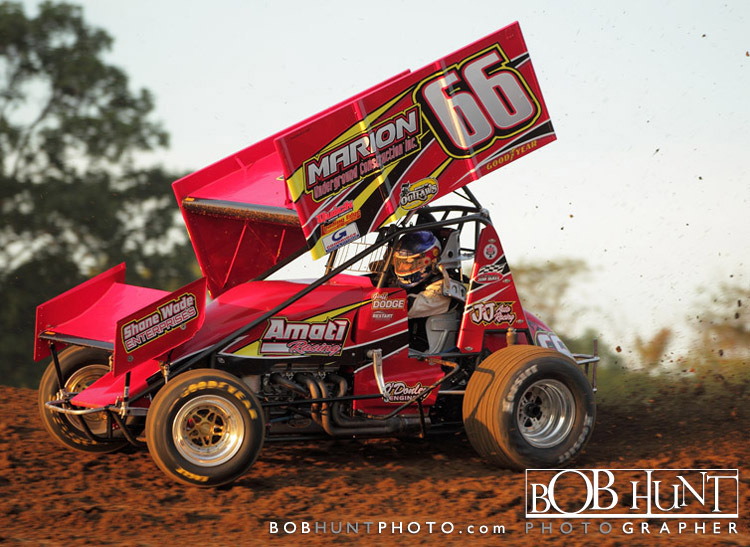 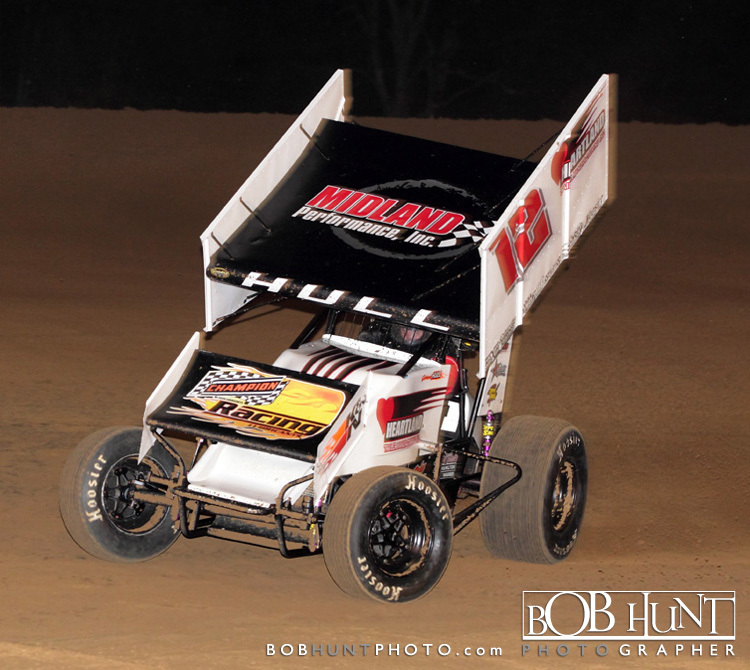 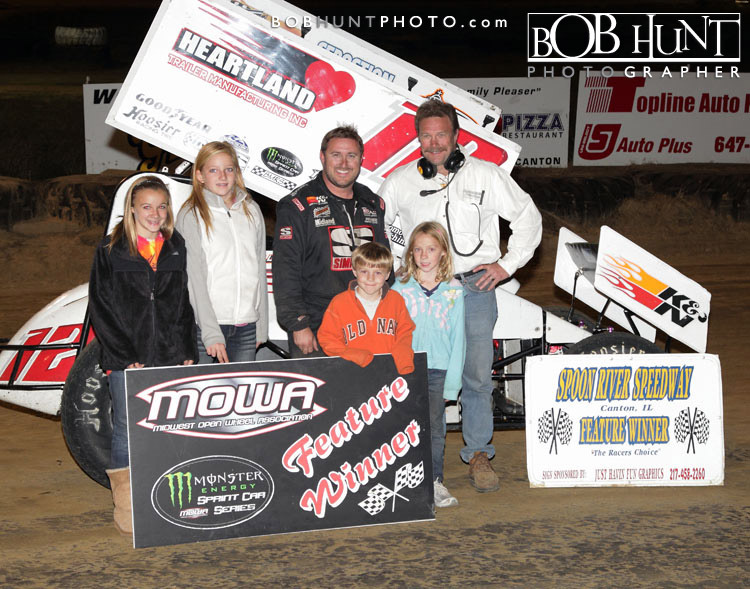 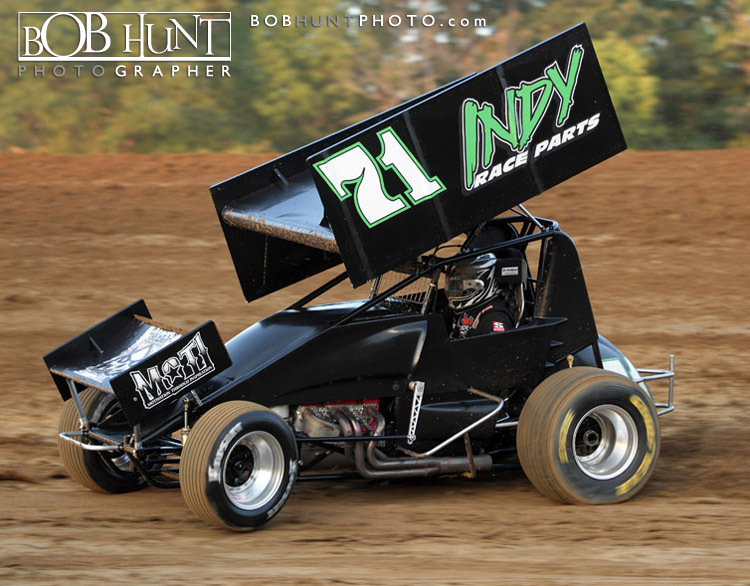 Jerrod Hull led from green to checker to capture his fourth career Tom Knowles Memorial win, and his fourth Monster Energy™ Sprint Car Series win of 2011. 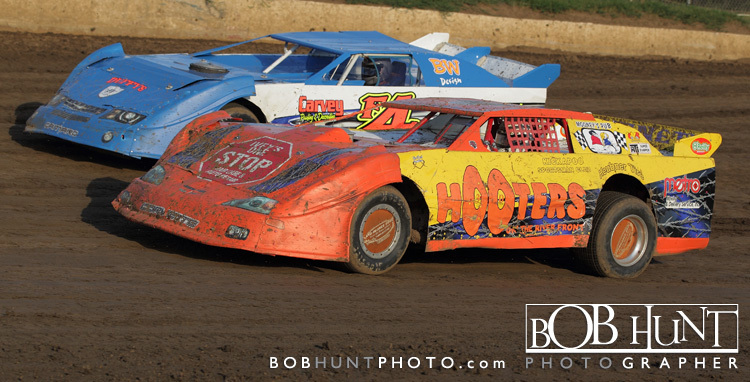 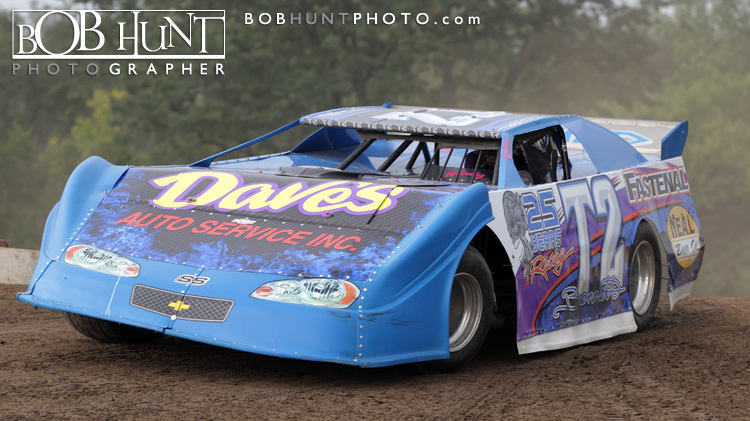 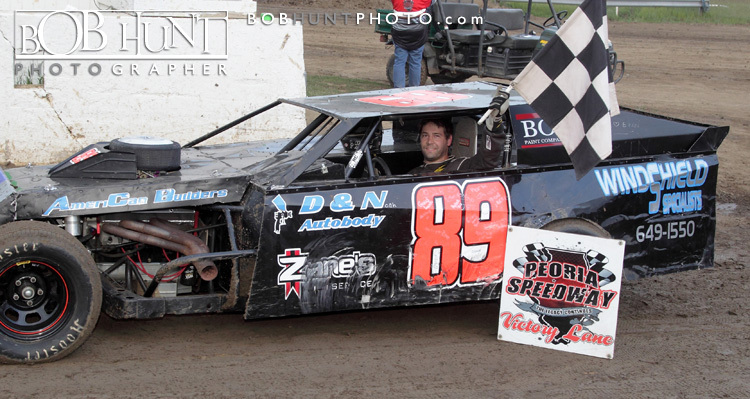 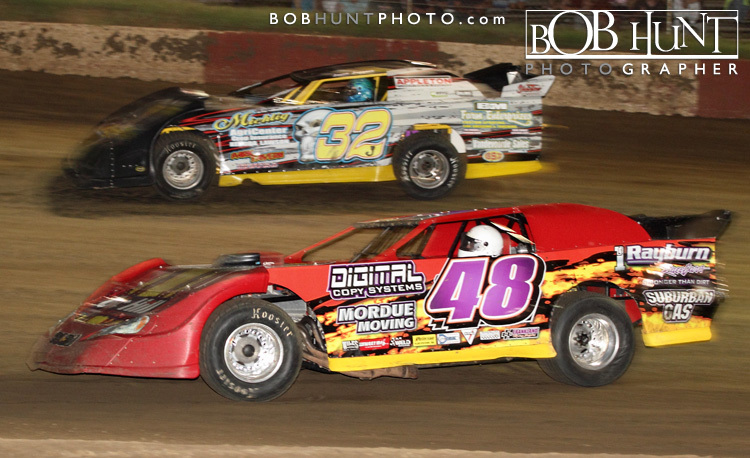 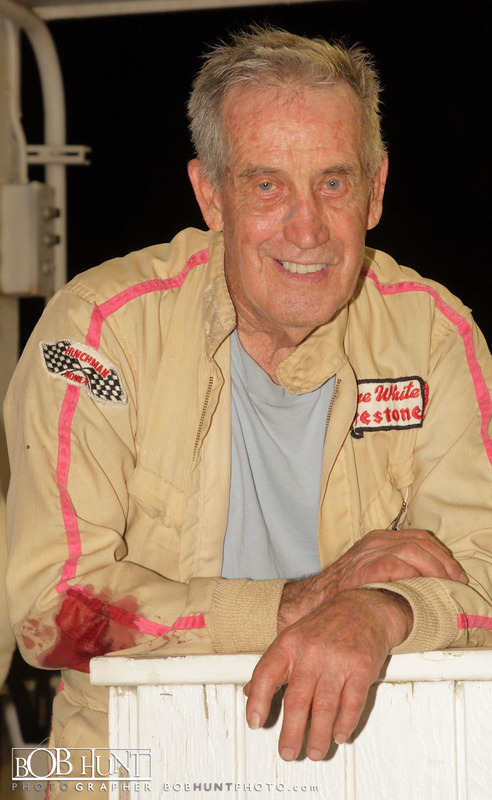 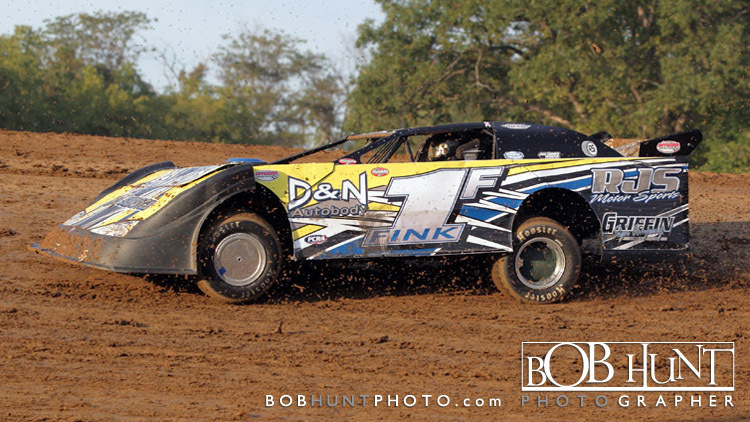 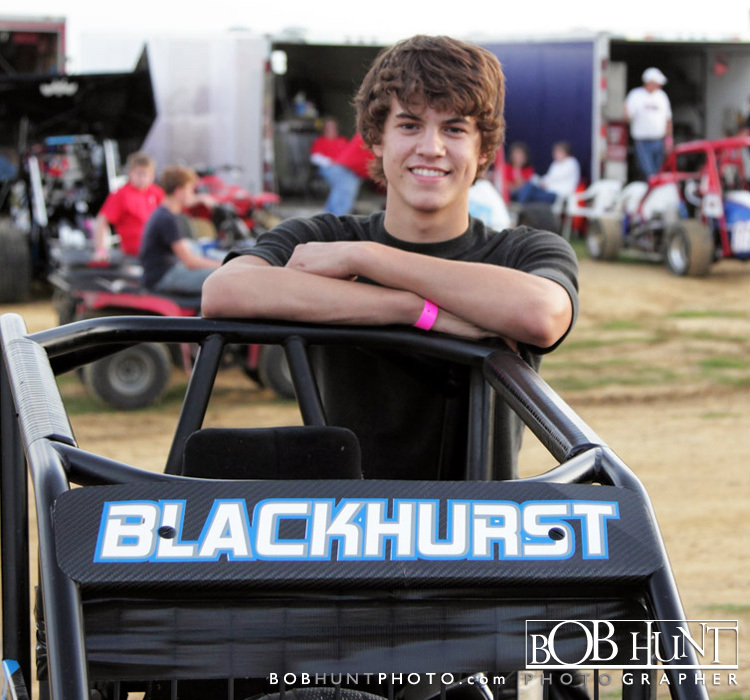 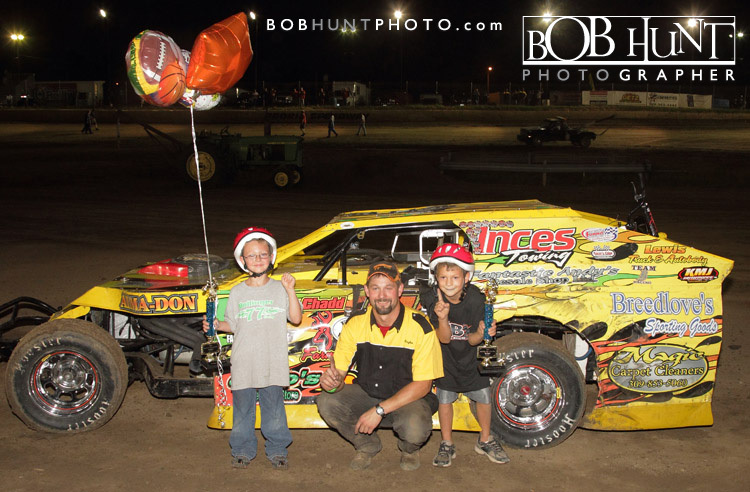 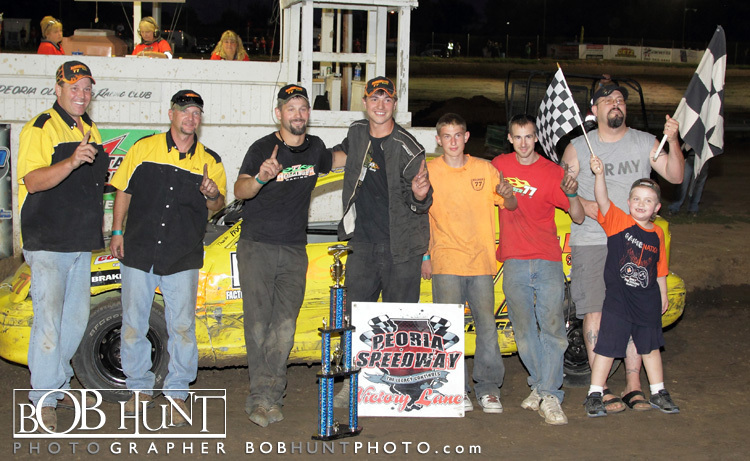 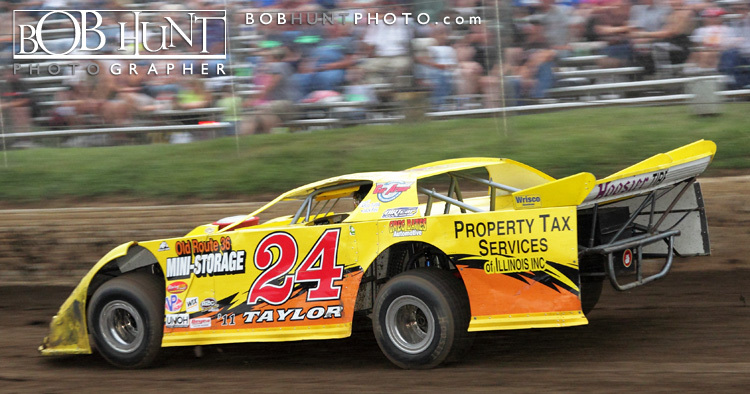 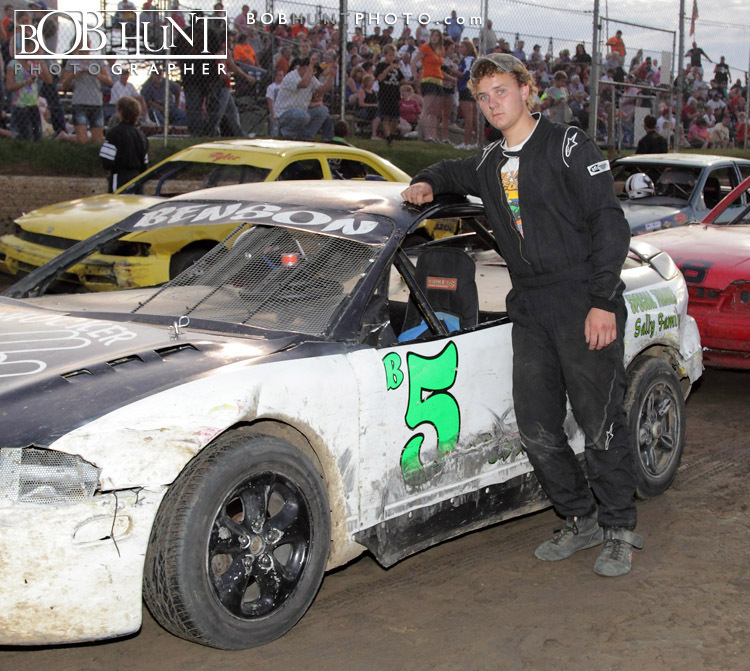 The victory at Spoon River Speedway near Canton, Illinois on Saturday night paid him $2,000. 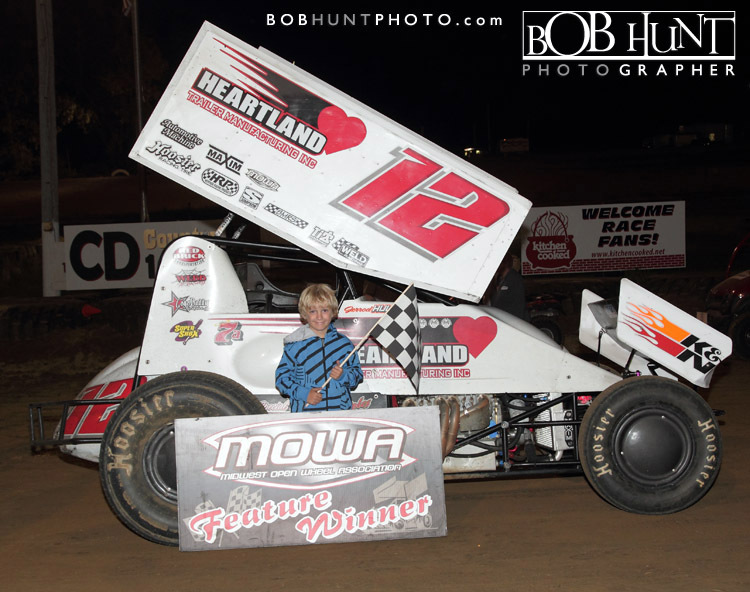 “We had to stay smooth,” said Hull in Victory Lane standing in front of his Midland Performance #12. 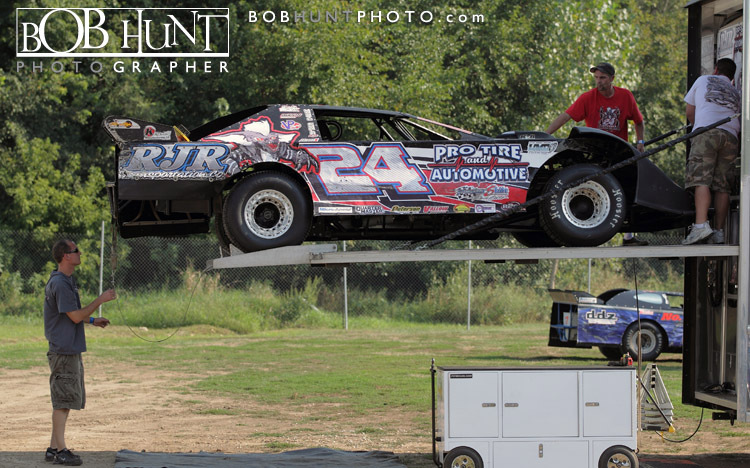 “I was a little worried about the tires, so we kept it straight. 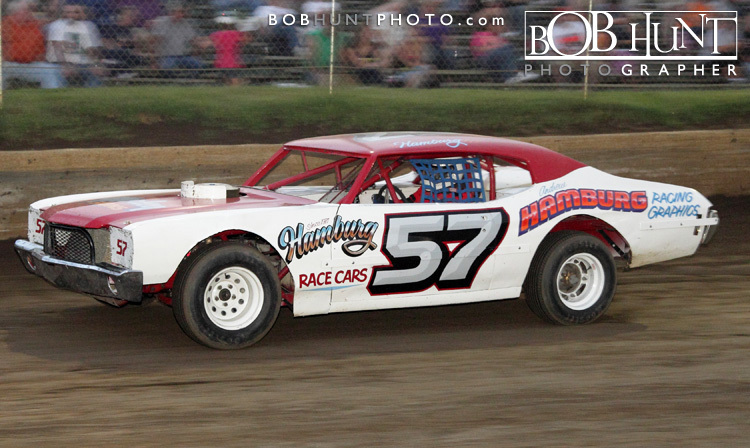 Crew chief Scott Bonar had the car set up really nice. 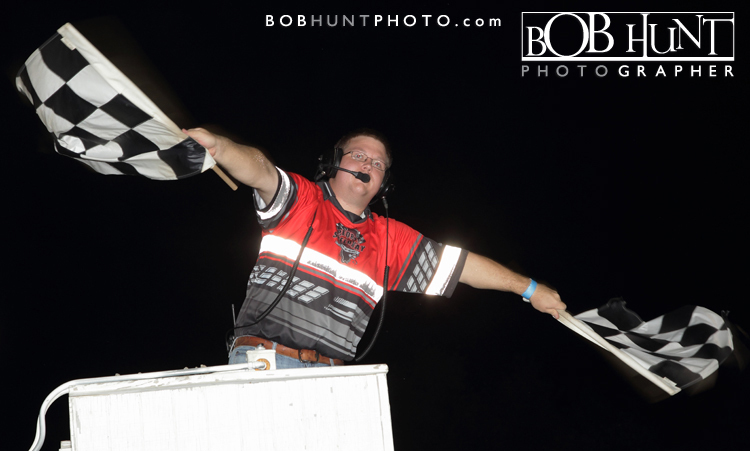 I also have to thank Jeff Hicks, Colton and Roger for helping us tonight. 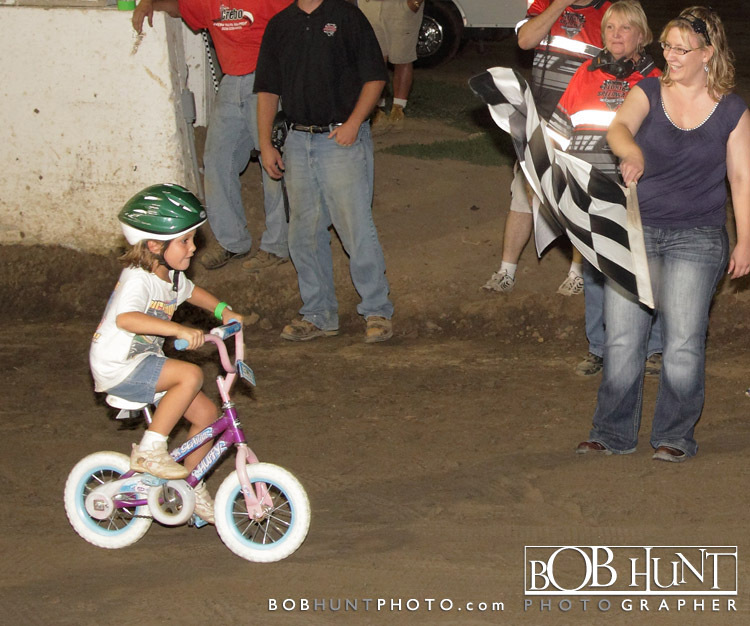 Canton is one of my favorite places to race. 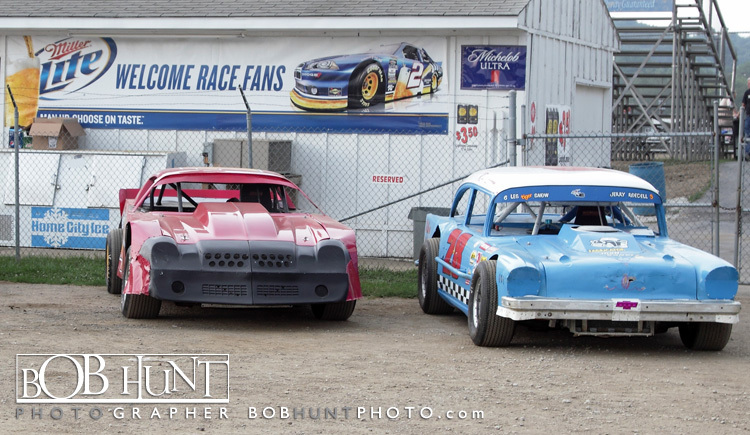 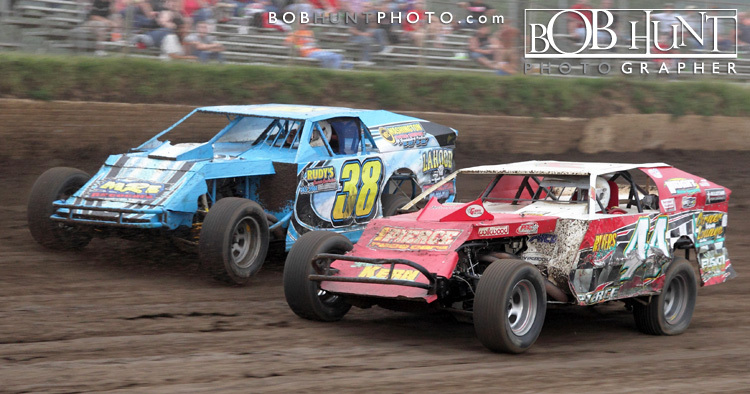 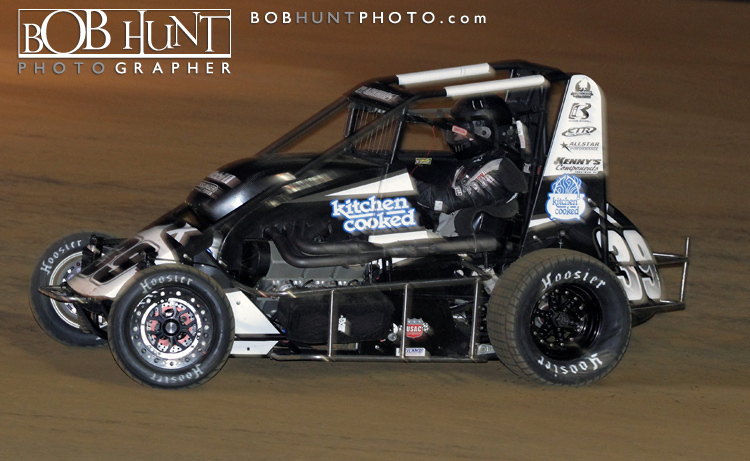 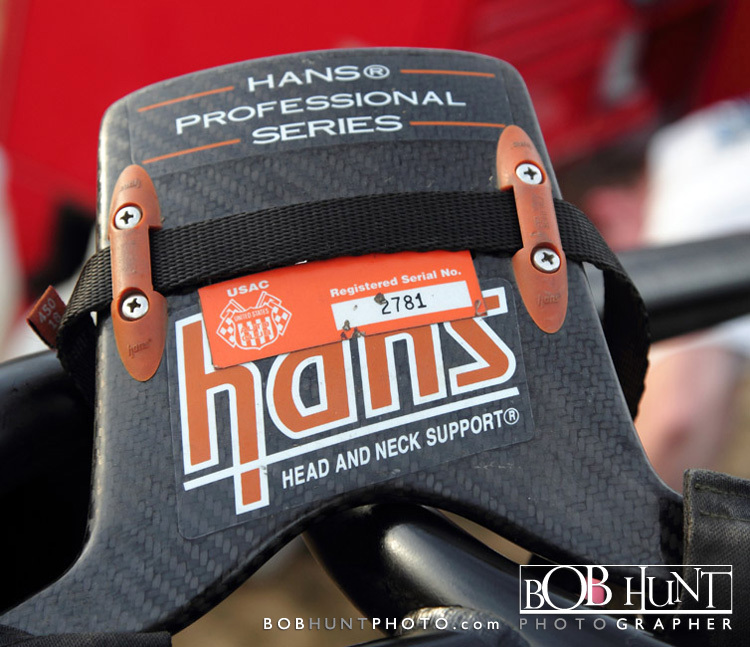 It’s high-banked and I love it.” Ryan Bunton in the #6R car finished second, and Chris Urish #77u was third. 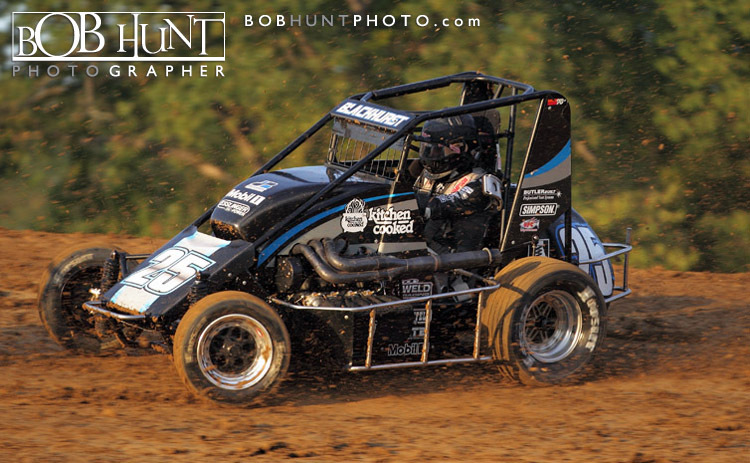 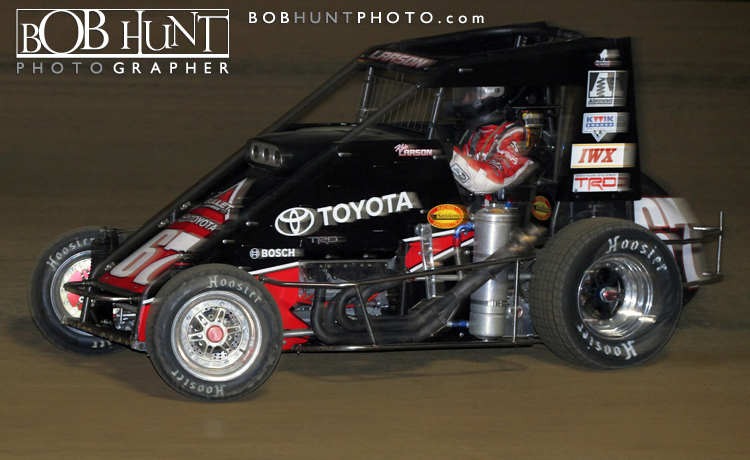 Kyle Larson led all 30 laps on the fast, high-banked 3/8th mile-track with Brad Loyet finishing in second and Chett Gehrke was third in the POWRi Lucas Oil National Midget Series race. 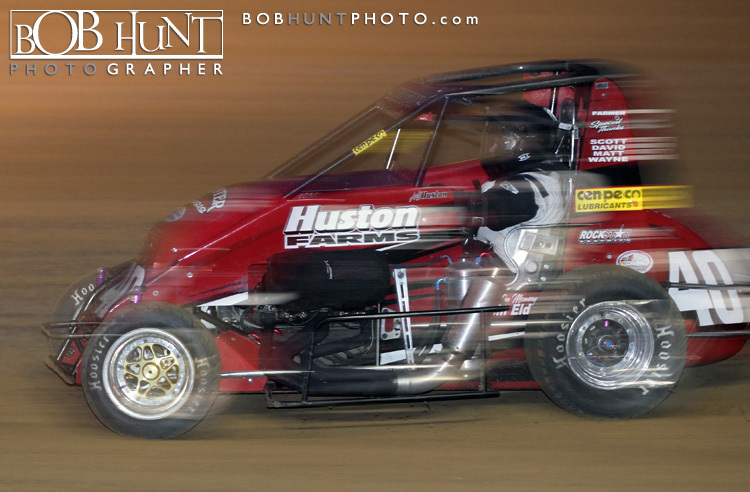 Made a stop by the Peoria Speedway early on my way to photograph Bradley University soccer. 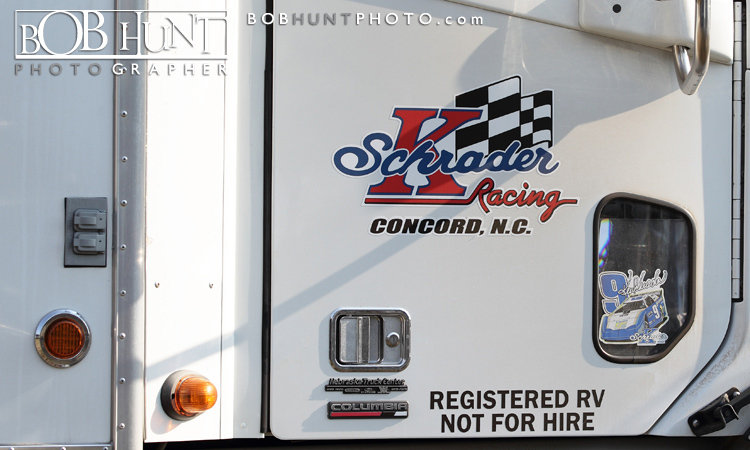 I arrived around 4:00pm and wandered thru the pit area as the big haulers were unloading for the Northern All-Stars Summernationals race. 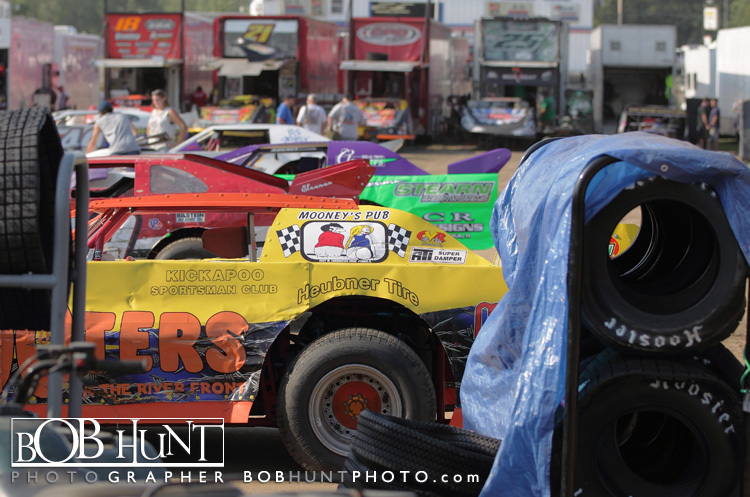 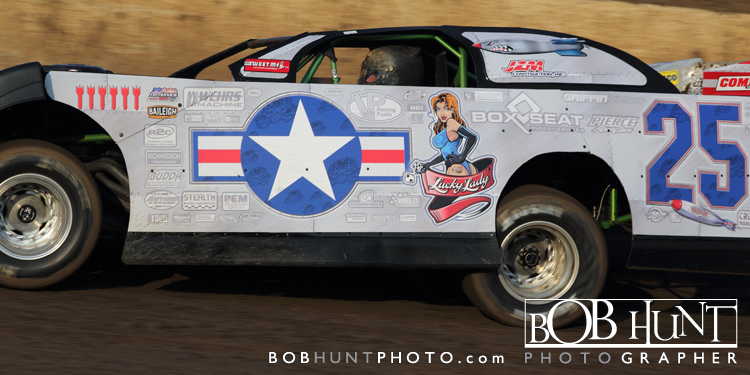 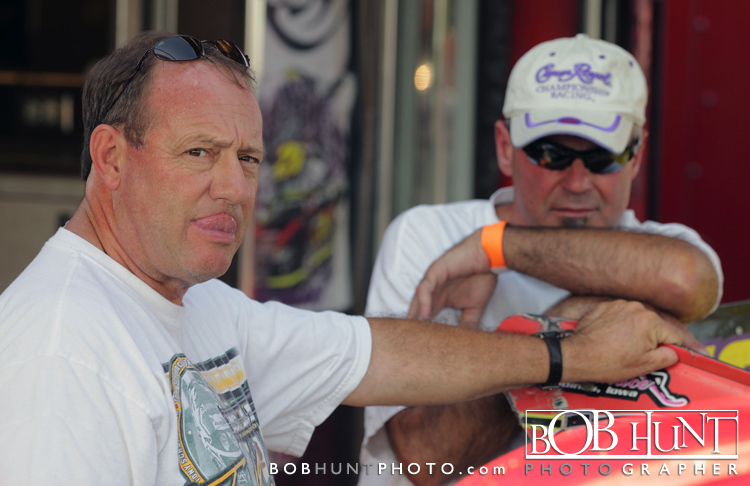 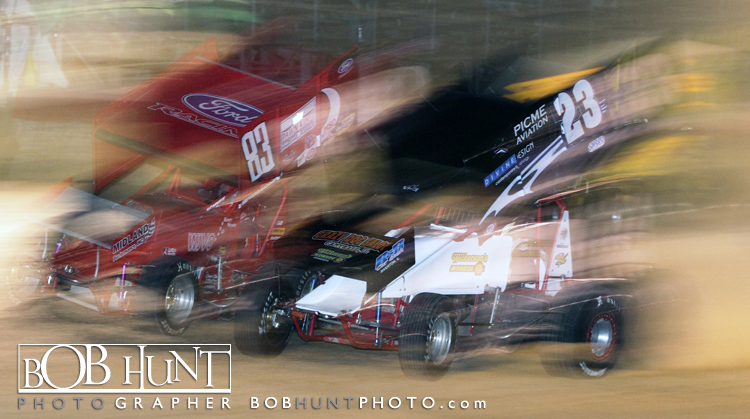 I got a few driver shots including NASCAR star Kenny Schrader as they were getting ready for hot laps. 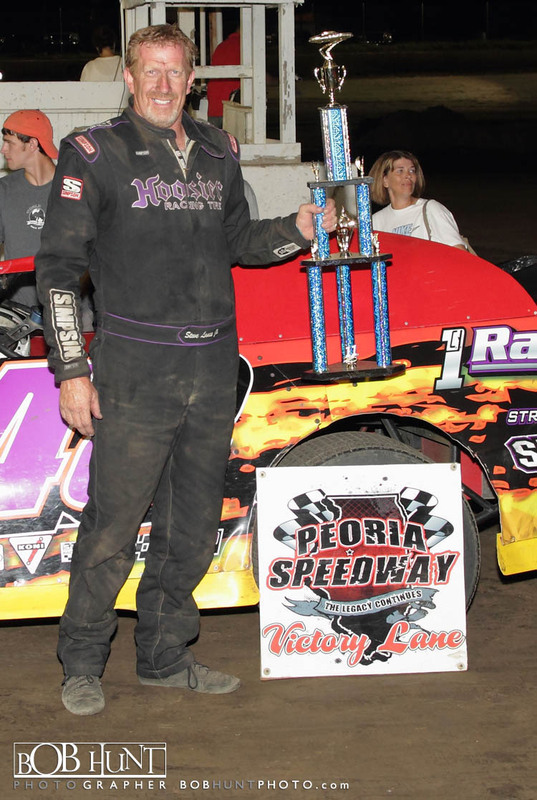 Having not lost at Peoria Speedway since July, Steve Lance Jr. knew he had a challenge as NALMS rolled into the track Thursday night. 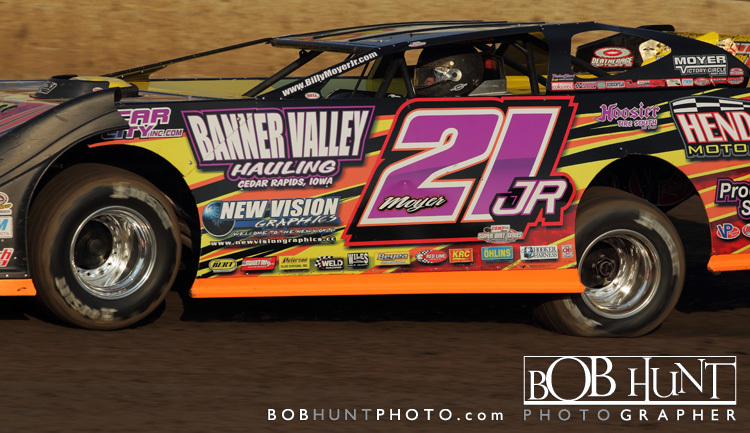 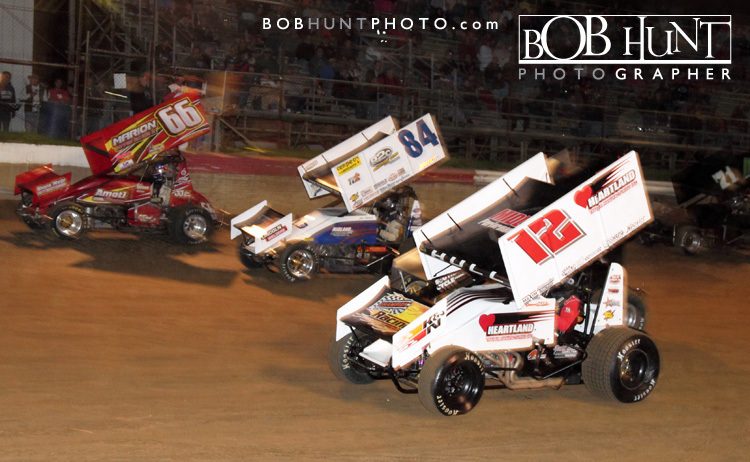 With a star-studded field on hand, Jason Feger jumped to the high side as the green flew and out-gunned Dirt Late Model Hall of Fame member Billy Moyer going into turn 1 ,but Moyer pulled even on the front stretch. 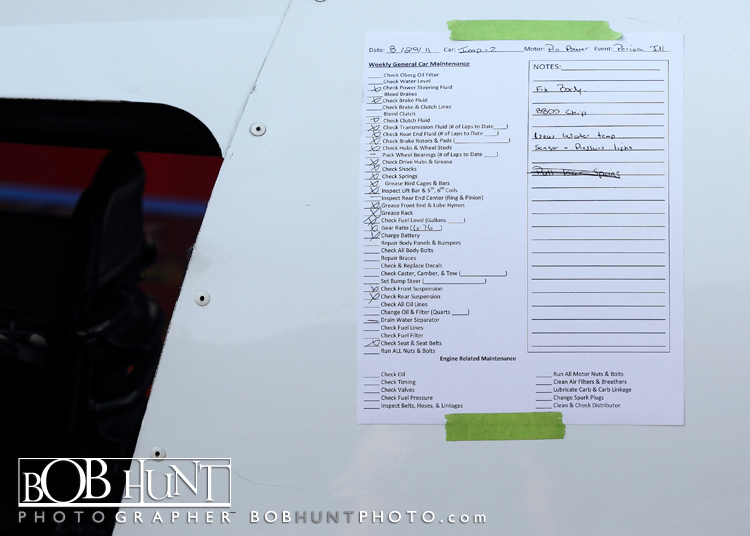 Feger then rim-rode through tuns 1 and 2 and dove to the bottom to take the lead. 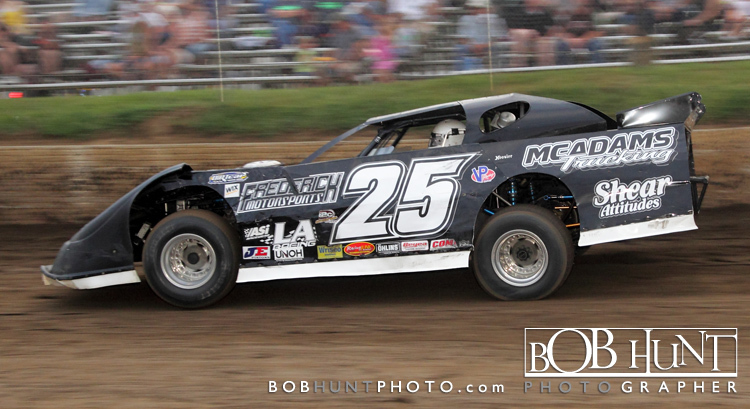 Moyer contuned to work the bottom, but Lance, Jr. blew by on the top coming out of turn 2 on lap 10 to take second. 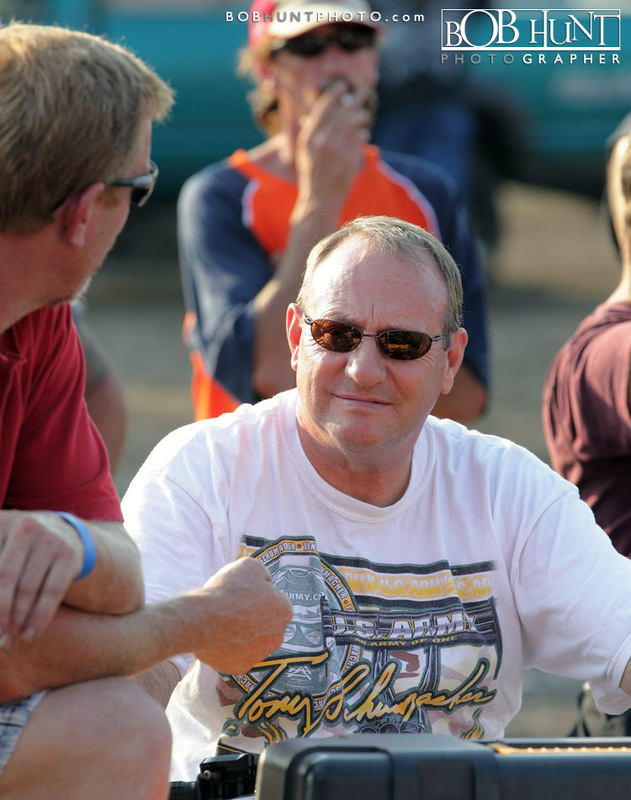 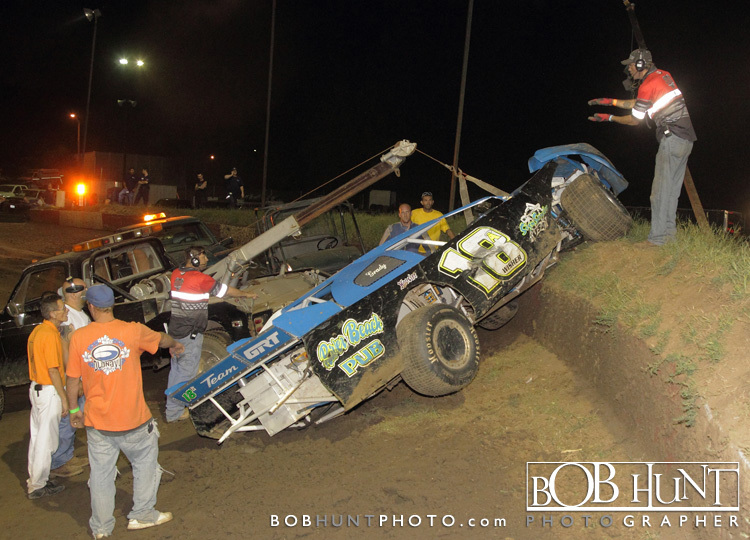 Kenny Schrader survived 6 caution flags and a demo derby behind him, going flag-to-flag for the win in the UMP Modifieds.